The Visual and Performing Arts at George Washington High School are passionate on developing life-long learners to recognize opportunities for creative problem solving. We value and recognize the power of visual communication as a vessel for creating positive change in this world. Our Speech and Debate program has grown to be a major contender within the country. 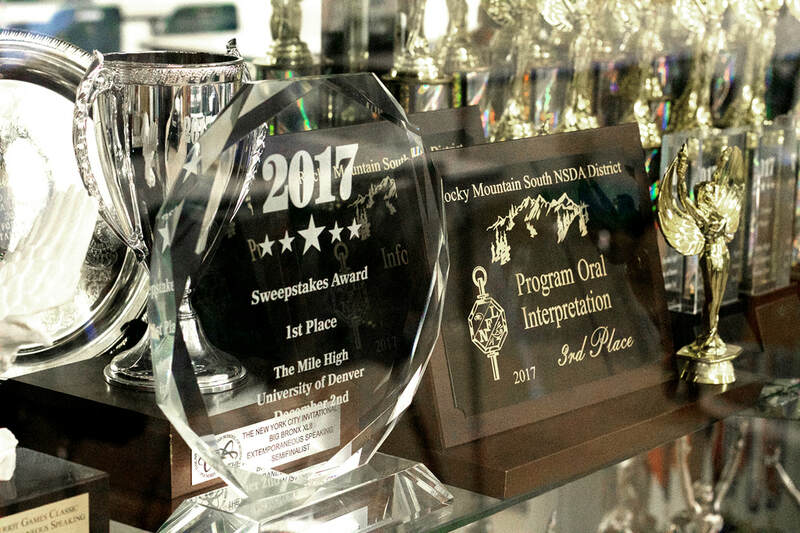 Every year students take home multiple trophies, earning the current rank of 9th in the nation. The mission of the visual arts department is to teach and equip young people with the ability and skills to creatively problem solve through visual communication. Within this program, they will become resilient in the face of obstacles and empathetic towards others, recognizing that people communicate and work together in a variety of ways. At George, we want our artists having valid and powerful opportunities for their visual voice. As senior Lucca Raabe explains, "The arts have given me the tools to not only become a more critical thinker, but to use creativity to do so in the unique way only the arts can." The arts at GWHS go beyond the basics and introduce a whole new level of creative curiosity that is applicable in multiple disciplines.